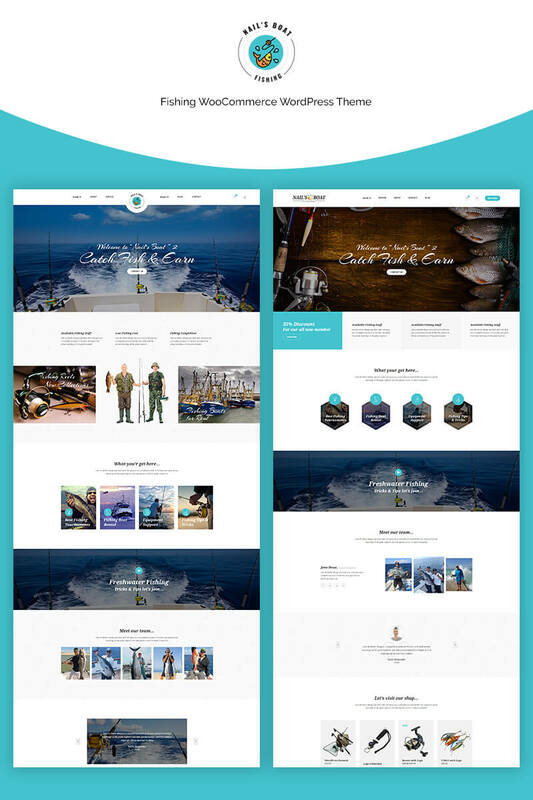 Nailsboat - Fishing WooCommerce Theme is a niche store theme for fishing equipment store, fishing training, fishing tournament, fishing boat rental website. Three homepages are included, a box layout and banner slider homepage are included. Nailsboat theme is a responsive theme, as most of the customers are coming from mobile nowadays, we focus on mobile design as well. 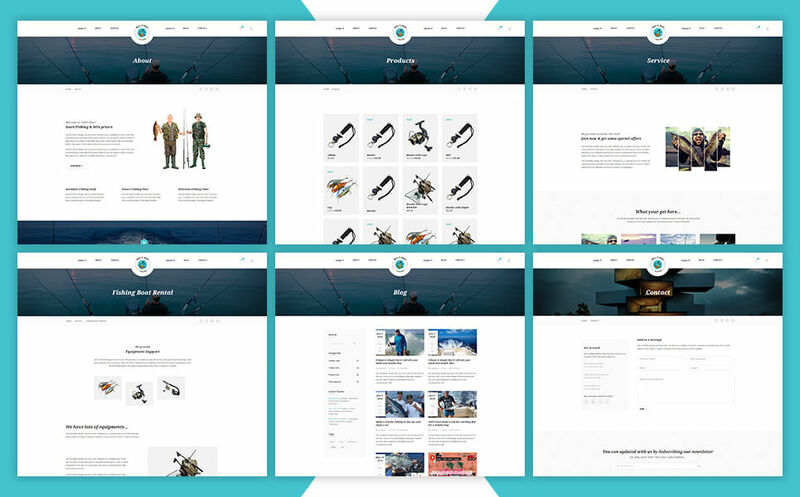 By using this theme, you can sell fishing equipment and manage your different activities such as a fishing tournament and boat rent. My account page includes personal info editing option, billing and shipping details, orders status etc. There are a few more pages included such as Cart, Checkout, Wishlist, Services, Blog/News pages etc.